Taraji P. Henson got a special Mother’s Day surprise, a marriage proposal! The Empire star’s boyfriend, former NFL player Kelvin Yaden, got down on bended knees to pop the question. 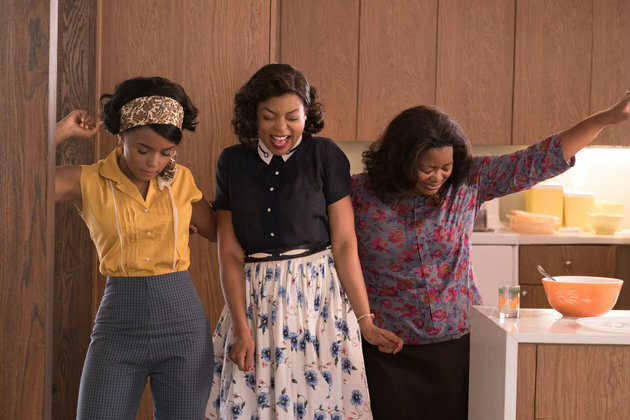 So Taraji P. Henson, Octavia Spencer and Janelle Monae must all be doing the happy dance today. Their movie, Hidden Figures, is the no. 1 movie two weeks in a row. The Empire cast attends the ‘Empire’ FYC ATAS Event at Zanuck Theater at 20th Century Fox Lot in California. Terrence and his wife Mira Pak unveiled her baby bump on red carpet. They are expecting their second child together, Terrence’s fifth. They already have son Qirin Love, born May 2015. They divorced later that year, got back together, and are now adding to their family. The actor has two daughters, Aubrey and Heaven and one son, Hunter, from a previous marriage, and is a grandfather of two.